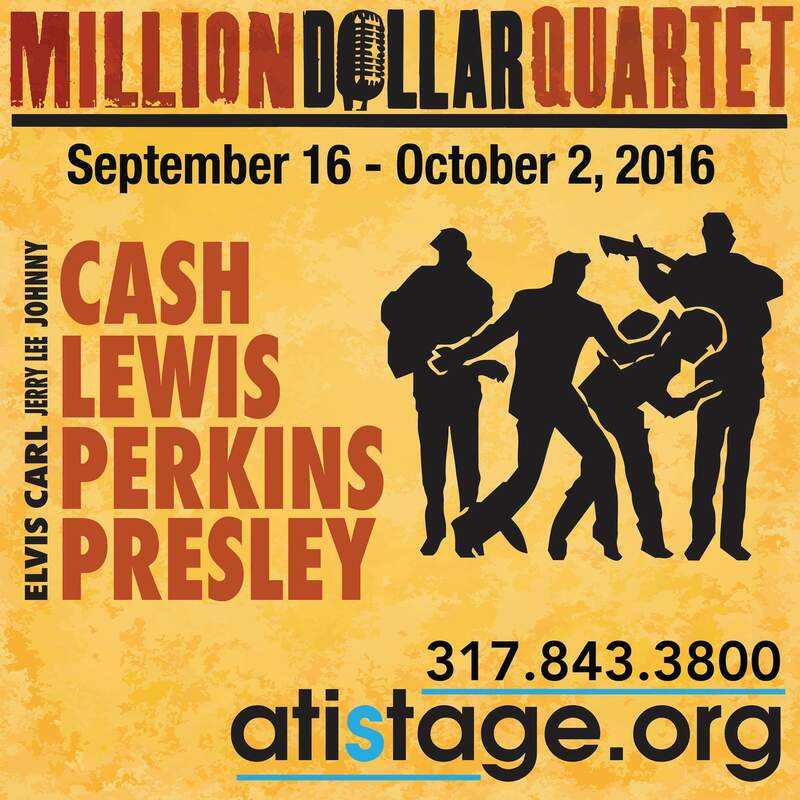 Carmel City Center is pleased to present the Shop for Show Ticket promotion for Actors Theatre of Indiana’s production of MILLION DOLLAR QUARTET. Shop at Addendum, Bath Junkie, beauty+grace and House of Z for free ticket vouchers* to a performance when you spend $50 or more, now through October 1st. Each voucher is redeemable for one ticket. Million Dollar Quartet, September 16 through October 2, is the Tony ® Award-winning Broadway musical inspired by the true story of the famed recording session where Sam Phillips, the “Father of Rock ‘n’ Roll” brought together icons Johnny Cash, Carl Perkins, Jerry Lee Lewis and Elvis Presley for one unforgettable night. On December 4, 1956, these four young musicians gathered at Sun Records in Memphis for what would be one of the greatest jam sessions ever. 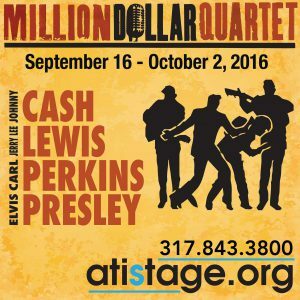 Million Dollar Quartet brings that legendary night to life! This thrilling musical takes you inside that recording studio with Johnny, Carl, Jerry Lee and Elvis! Million Dollar Quartet, presented by Actors Theatre of Indiana is at The Studio Theater at the Center for the Performing Arts, 4 Center Green, Carmel, IN 46032. For ticket information call the box office at 317-843-3800. *Vouchers are subject to availability and recipients must redeem by calling the ticket office to schedule the desired time/date. Must present voucher in person. Seating is at the discretion of ticket office staff. Voucher is non-transferrable. Tickets redeemed from vouchers are non-exchangeable.